The IRS is looking for solid information, not an “educated guess” or unsupported speculation. We are also looking for a significant Federal tax issue - this is not a program for resolving personal problems or disputes about a business relationship. The law provides for two types of awards. If the taxes, penalties, interest and other amounts in dispute exceed $2 million, and a few other qualifications are met, the IRS will pay 15 percent to 30 percent of the amount collected. If the case deals with an individual, his or her annual gross income must be more than $200,000. If the whistleblower disagrees with the outcome of the claim, he or she can appeal to the Tax Court. These rules are found at Internal Revenue Code IRC Section 7623(b) - Whistleblower Rules. The IRS also has an award program for other whistleblowers - generally those who do not meet the dollar thresholds of $2 million in dispute or cases involving individual taxpayers with gross income of less that $200,000. The awards through this program are less, with a maximum award of 15 percent up to $10 million. In addition, the awards are discretionary and the informant cannot dispute the outcome of the claim in Tax Court. 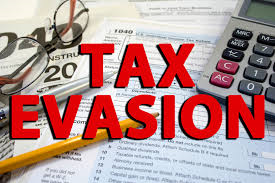 The rules for these cases are found at Internal Revenue Code IRC Section 7623(a) - Informant Claims Program, and some of the rules are different from those that apply to cases involving more than $2 million. 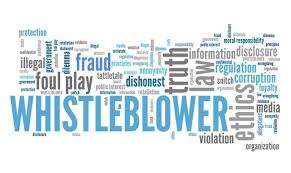 If a whistleblower meets the requirements above, the whistleblower may be able to receive 15% to 30% of proceeds collected from tax fraud or tax underpayments. To discuss potential representation in a tax fraud whistleblower case, click here.